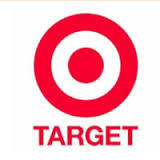 I would not set foot in Target as an employee or customer. Perverts come in all shapes and sizes there. They seem to be only interested in putting young adults onto the “bench”. Those people are the only ones who will be in line for promotions. It doesn’t matter how good you are at your job. They could care less about their staff.The changed our in time to 3am without even asking or ant compensation. For every team member there is 5, 6, or 7 hours of standing or walking. There is no place to sit and no position that allows you to sit. The scheduling is always very erratic. I only know one person in the 8 years I have been at Target that was allowed to work solely the number of hours he was allowed before it was deducted from his social security as additional income. He was not there long and while he was he had to constantly remind HR that he could not work more than a certain amount of hours per week. Plus almost all of the Leaders (Managers) are recent college graduates with Target being one of their first retail or managerial position. Target has rehired me in the same position and same pay as when I left in May 2014. For every team member there is 5, 6, or 7 hours of standing or walking. There is no place to sit and no position that allows you to sit. The scheduling is always very erratic. I only know one person in the 8 years I have been at Target that was allowed to work solely the number of hours he was allowed before it was deducted from his social security as additional income. He was not there long and while he was he had to constantly remind HR that he could not work more than a certain amount of hours per week. Plus almost all of the Leaders (Managers) are recent college graduates with Target being one of their first retail or managerial position. They want you in and out fast.Changed all our in times from 8:am to 3:am,told us we could do it or Quit. My manager became concerned with my age of 61 years. Another manager even asked me how come my salary is so high. I told him that is a question that should have been asked of my recruiter 11 years ago. A few months later I was replaced by two teenage interns related to other employees. Target Health not only showed age discrimination but the unfair business practice of hiring relatives. They may also be racist because several Spanish speaking employees were also dismissed. Their workforce only includes or hires people from India and Korea. They also allow their employees to smoke in the bathrooms. That is a federal offense also. The worse part about all of these offenses is the two owners are in their mid 70s and decide not to do anything about it.